This is part three in a series. See here for parts one and two. Oath and language: In my third and final example, I come to probably the most important element in structuring humanitarian spaces: language. 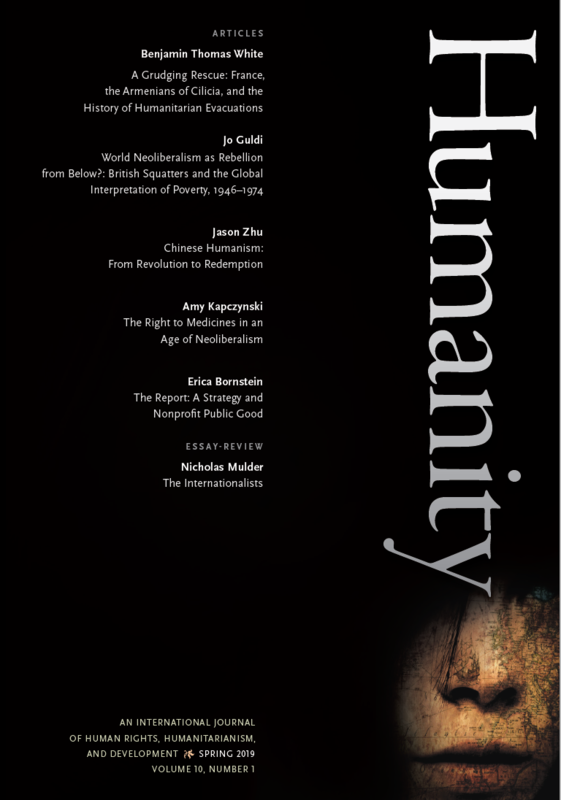 It is in language that the connection between the spheres of humanitarianism, power, and politics becomes clearest. Here, I will not look at the meanings of the words or programmes of humanitarians; I am interested in the function of humanitarian language within the political sphere. 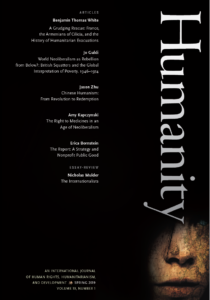 In his work on the “archaeology of the oath,” which he describes as a “sacrament of language,” Giorgio Agamben—well known in research on humanitarianism for his concept of the “bare life”—reveals some striking parallels between those who swear an oath and those who speak in the name of humanitarian ideals. Agamben claims that the oath has a central function in the sphere of politics: it touches the center of the human being as an animal politique that is capable to use language. According to Agamben, once human beings discover their ability to speak, they bind themselves to language and put their life at risk by using language. 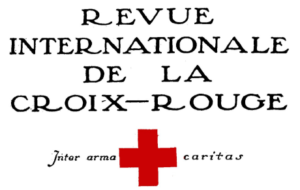 Si la Croix-Rouge s’était bornée à l’affirmation d’un principe: inter arma caritas, si elle n’en avait pas poursuivi et réalisé les applications immédiates, elle serait restée sans influence réelle ; car toute idée morale n’a de valeur que pour autant que du domaine intellectuel elle passe dans la vie de l’individu et de la collectivité. C’est pourquoi il faut applaudir sans réserve au développement que les activités des Croix-Rouges ont pris et prennent tous les jours, s’étendant des blessés aux prisonniers, des victimes de la guerre à celles des catastrophes de tout genre, suppléant non plus seulement pendant la guerre, mais aussi pendant la paix, à l’insuffisance des institutions officielles, et prenant toutes les initiatives utiles pour secourir l’humanité souffrante. Nous pouvons donc affirmer que, suivant une parole biblique, la Croix-Rouge montre « sa foi par ses œuvres ». In Michael Barnett’s words, “humanitarian ethics are simultaneously universal and circumstantial.” However, by interpreting lines of humanitarian promises like the one cited above not only as the connection between universal ethics and circumstancial deeds, but rather as a devotion to humanitarian ideals, humanitarian language becomes political in its function. It has often been said that humanitarianism shows an integrative function in times of crises and we often find in political rhetoric a lot of humanitarian selfdescription by people who do not act as humanitarians. An explanation for this is exactly the political aspect of humanitarian language. This aspect has been broadly neglected because of the claim that humanitarian ideals such as neutrality and impartiality would guarantee that any action corresponds with these ideals. In summary, the three concepts sketched out in these three posts may help those studying the history of humanitarian governance or the development of empires of humanity to uncover some of the underlying dynamics that structure words, actions, and meanings. These dynamics are key to understanding how humanitarianism is empowered in specific spaces, and how at the same time it creates new spaces. 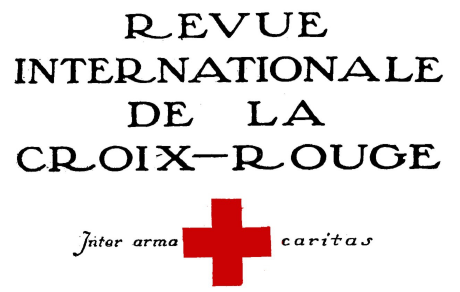 Edmond Boissier, “Morale internationale et Croix-Rouge,” Revue internationale de la Croix-Rouge 53, no 5 (1923): 449–52. Michael Barnett, Empire of Humanity: A History of Humanitarianism (New York: 2011), 11. Giorgio Agamben, The Sacrament of Language: An Archeology of the Oath (Stanford: 2011), 65-66. “Globalization,” what is it good for?